Map showing extent of Marcellus Shale in Maryland. A few years ago, “you could count on two hands the people in our county who knew much about [fracking], even though thousands of acres had been leased for drilling,” says Garrett County farmer and winery co-owner Paul Roberts. Since then, Roberts has helped organize a dozen or so public meetings about the problems associated with drilling. And in the meantime, those early leases that paid farmers about $10 an acre have been sold and resold by energy companies, eventually for $10,000 or more an acre. “Think of the millions in profits made at my neighbors’ expense in Maryland,” said Roberts, who is also the citizen representative on the 14-member state Marcellus Shale Safe Drilling Initiative Advisory Commission. “I know an attorney who rode an airplane, headed for Dallas on a Friday afternoon from Pittsburgh, where the gas men drink scotch and laughed about all the poor people, retirees, Amish people, and country bumpkins they ripped off that week,” Roberts said in an email. “Several people have been made millionaires already on money made in Maryland — but none of them are Marylanders,” he said. Residents remain deeply divided about whether fracking should be allowed in Garrett, one of two counties in Maryland that lie atop the Marcellus Shale. But they have much more knowledge now. Perhaps half are alarmed at what they see from news reports and scientific studies about the environmental and health dangers associated with fracking; they also fear it would hurt tourism. On the other side are those who have a more benign opinion of extractive industries and maintain that the royalties landowners receive and the drillers’ spending at motels, stores and restaurants could boost the county’s economy. The split was evident at back-to-back meetings at Garrett College last week. Roberts, who decided that the industry-arranged visit by commission members to a fracking site and similar fare were “inexcusable” and insufficient, organized a presentation during which residents heard firsthand accounts from neighboring states of sickened children, dead farm animals and poisoned water caused by fracking. “We’ve heard more than one presentation by industry representatives, and devoted an entire monthly meeting to visiting staged conditions at Chevron fracking sites,” Roberts said. “Yet, there are two states full of people right next door with important experiences to relate, and our commission has not heard a peep from them.” Roberts invited a Pennsylvania attorney whose clients were harmed by fracking and a West Virginia rancher who lives near drilling sites and who showed slides of a dead cow and industrial operations next to homes on hillsides. They traveled at their own expense. Directly after this presentation, and during the only nighttime commission session thus far, farmers and other business owners, parents and a small-town mayor, health professionals and a real estate agent spoke with passion during the three minutes allotted to each about their fears or their hopes from shale drilling in the county. At the meeting, the 10th since being appointed by Gov. Martin O’Malley to determine under what conditions fracking might be allowed in Maryland, close to 50 people testified in the nearly full auditorium that can hold 300 people. About 30 people called for no fracking or at least a moratorium; about a dozen, including one who represented perhaps 15 Farm Bureau members who raised their hands in the room, thought fracking could be “done right” and urged the commission to expedite permits. Sometimes the divide seemed to be between those born in the county and those considered outsiders, but not always. Or between farmers and non-farmers, but again not always. Undeniable was the split between those who trust the industry to get it right and those who don’t. Some of those wary of fracking asked for a legislative moratorium because they feared no legislation relating to best practices or even funding for the commission could ever be passed. More than 20 bills to set safety standards and fees for gas leases were introduced during the last General Assembly session, but only one passed – a law that says that if drinking water sources are contaminated within 2,500 feet of a well, the driller is presumed responsible. Others were concerned about roads, the integrity of concrete casings that separate the hazardous drilling fluids from the aquifers, and about contaminating water for future generations. Nadine Grabania, who owns Deep Creek Cellars Winery in Friendsville with her husband, Paul Roberts, urged the commission to study “the economic problems this will cause,” not just the economic promises. She wants to know the effect on property values and the existing tax base and whether enough emergency response personnel would live nearby to handle an accident with hazardous materials. What criteria will be considered when determining if fracking is safe, she asked. Nicole Christian, president of the Garrett Chamber of Commerce said, “Shale gas and tourism can coexist.” But Barbara Pritts, a real estate agent who said she will be 80 in December and had lived in Garrett her entire life, insisted “fracking and tourism will not mix.” Olen Beitzel, who said he had lived for 72 years in Garrett, said he had “confidence in the regulators.” He noted that Deep Creek Lake was also controversial and could never have been built today. “I support it if it’s done right,” he said. At the presentation prior to the commissioners’ meeting, Tom Bond, a rancher with 500 acres near Jane Lew, W.Va., and John M. Smith, an attorney in Canonsburg, Pa., who represents several families who are suing energy companies, spoke to about 100 people in a nearby Garrett College classroom. Smith said his clients signed leases for drilling on their property but have had to move. Gases vented during flaring are also heavier than the air and sink, “gassing the population.” His clients, he said, have lost their sense of smell because of the hydrogen sulfide emitted during flaring. Some of his clients’ cows, horses and dogs have died or had stillborn offspring. “It is life-changing,” Smith said of the drillers’ presence. “It has no hours of operation,” continuing around the clock. Frack ponds and surface contamination from spills were the biggest menace, he said. Some municipalities are banning the ponds, although existing ones are typically grandfathered in. Some of the ponds “let go.” Commissioner Roberts said, “It’s hard to imagine this sort of pond being allowed” in Maryland. Bond, the rancher who is also a retired teacher with a doctorate in organic chemistry, has four of the “old-fashioned” gas wells on his property. Around him, though, are hydraulically fracked wells. While some proponents of fracking say the two are the same, “that is not true,” he said. The pressure is “far, far greater” in the fracked wells, and he said he endures significant light and noise pollution. He showed a slide of a hillside farm that hadn’t leased land adjacent to another farm with drilling. “Inevitably, there is tremendous property devaluation,” he said. The drillers “have externalized the costs,” he said. “The legitimate costs of doing business are put off on somebody else … on people who get sick, on hunters who can’t hunt, fishermen who can’t fish,” on farmers and on businesses that cater to tourists. Food & Water Watch’s logo for its ban fracking campaign. Concerned about fracking’s contribution to global warming, the Climate Change Initiative of Howard County recently signed on with CCAN to support a moratorium on fracking in Maryland until the industry can prove that drilling can be done safely. Delegate Heather Mizeur has said she intends to introduce that legislation in the next General Assembly session. CCIHC also signed on with Food & Water Watch’s campaign that calls for a ban on fracking. As Jennifer Krill of Earthworks pointed out in a conference call recently, we in the environmental community should not let the ban-vs.-regulate debate divide us. Fracking is ongoing, she said, and we need to call for strict regulations for those areas while at the same time moving for a ban in areas we want to protect from fracking. Fracking poses threats to human and animal health, air, land, forests and water, but also to the climate. Natural gas emits less carbon dioxide than oil and coal, but it produces more methane, a shorter-lived but more powerful greenhouse gas, during processing and through leaky pipes. The International Energy Agency has concluded that even if the world shifts quickly to natural gas, the planet would still warm a catastrophic 6 degrees F by the end of the century. Sign CCAN’s petition calling for a legislative moratorium here and Food & Water Watch’s call for a ban here. 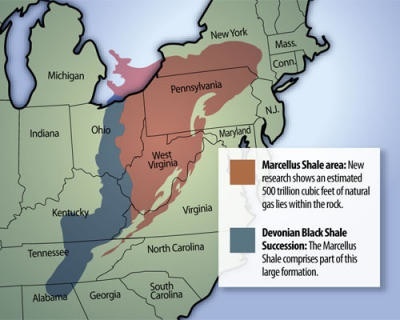 Turns out, also, that the Marcellus basin in Western Maryland is only the tip of the shale under our state. The US Geological Survey reports additional shale basins on the Eastern Shore and in southern and central Maryland. Nothing like searing heat outside to focus the mind on a changing climate. Or warnings from NASA’s James E. Hansen, whose latest analysis indicates that climate change is already producing extreme weather. Again, as he did in 1988, Hansen uses dice to show our predicament. Fifty years ago, weather was variable but more predictable. Two sides of the die were colored white, or normal; two sides were blue, or cooler than normal; and two sides were red, or warmer than normal. “Rolling the die again and again, or season after season, you would get an equal variation of weather over time.” Now, the dice are loaded, he said, with four sides colored red, or warmer than usual. He says the heat waves in 2003 in Europe and 2010 in Russia, and the droughts last year in Texas and Oklahoma, “can each be attributed to climate change.” This hot summer “likely” will be as well. “These weather events are not simply an example of what climate change could bring — they are caused by climate change. The odds that natural variability created these extremes are minuscule, vanishingly small. To count on those odds would be like quitting your job and playing the lottery every morning to pay the bills,” he said. Using bell curve graphs and big dice, Hansen also explains the analysis — and the implications — in an interview yesterday on PBS’ “NewsHour.” “What I didn’t think about at the time in the 1980s was that as we push the climate toward … these higher temperatures, the extremes, the highest temperatures, will be very extreme.” The temperature increase in the last few decades, he said, is enough to “change the frequency of these extreme events by a large amount” and has “now driven our climate outside the range that’s existed the last 10,000 years,” the time when human civilization developed. “It’s the large anomalies that have the practical impact,” such as in droughts, wildfires and heat waves. According to the Guardian, scientists from the UN Intergovernmental Panel on Climate Change (IPCC) carried the same message when testifying Wednesday before the Senate Environment and Public Works Committee. “It is critical to understand that the link between climate change and the kinds of extremes that lead to disaster is clear,” said climate scientist Dr. Christopher Field, a lead author of the IPCC report. According to the Guardian, the hearing devolved into an exchange about whether global warming was a hoax — with Republican Sens. James Inhofe (Okla.) and Jeff Sessions (Ala.) on the hoax side, and Sens. Barbara Boxer (D-Calif.) and Bernie Sanders (I-Vt.) on the other. Sanders responded with a 40-minute speech to the Senate the next day, in which he urged Inhofe to reconsider his position. At the Stop the Frack Attack, protesters called for a fossil-free future. Also big news, back in October, was his initial pronouncement. Here was a global warming skeptic, funded in part by the climate-change-denying Koch Foundation, who affirmed the findings from NASA and NOAA and most other climate scientists. Not until his latest essay, however, did he go so far as to say that humans and their CO2 emissions were the culprit. All points well-taken. But the fear among environmentalists and people living in the shale regions is that “clean” and “fracking” haven’t and won’t ever end up in the same sentence, much less the same community. At first, natural gas looked like a good bet until renewables could come on line, but then came accidents, stories of sick people, dead animals and bubbling, brown and/or flaming tap water. The fracking industry’s exemptions from federal environmental regulations provide giant wastewater-pit-sized loopholes. State regulators can’t keep pace, and some scientists are concerned about methane, the shorter-lived but more potent greenhouse gas linked to fracking for natural gas. Other problems include fragmentation of land, diesel pollution and inadequate techniques for handling the wastewater, which is full of cancer-causing, endocrine-disrupting chemicals from the fracking fluid plus radioactive substances that had been locked deep underground. The climate is warming so much more quickly than anticipated that some studies show that switching to natural gas won’t lower CO2 emissions nearly fast enough to avert the worst consequences of our fossil-fuel habit anyway. “He doesn’t want it to [cross his land], and he’s even fought to stop it. It’s not a question of how much TransCanada pays him. He just doesn’t want strangers and heavy equipment tearing a 110-foot-wide gash through his land, cutting down trees and burrowing under the sand hills and pasture. “But Harter, like thousands of other landowners, doesn’t have much choice. Two days earlier, Harter had been in court trying to stop TransCanada, which had asked a judge to let it exercise eminent domain and force Harter to give it access to his land. Unnerving dispatches are coming from Greenland, where 97 percent of the surface of the ice sheet turned slushy over four warm days in July. “When we see melt in places that we haven’t seen before, at least in a long period of time, it makes you sit up and ask what’s happening,” NASA chief scientist Waleed Abdalati said in a BBC report. “It’s a big signal, the meaning of which we’re going to sort out for years to come.” The last such melt happened in 1889, so scientists can’t determine yet the role of climate change.